In the last session, you refactored your entire blog system. Now that everything’s cleaned up, you are ready to speed up for some new adventures. In this session, we are going to do more around the router, and add three more functions to our blog system: delete, logout, and single blog view. In part 6, we covered the edit function. Chances are, you would also want to delete one of your blog posts. There are two places you can put this function: add it in the BlogsAdminView, or send it to a URL and deal with it in the Router. I will show you the Router way. It’s more commonly used, and it makes the code better structured. Now, let’s add a new del function to the Router to handle it. 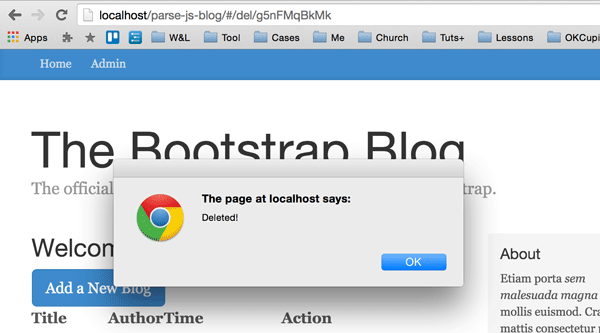 It’s pretty straightforward: find the blog post using the id we passed in from the URL, and destroy it. Try to challenge yourself and write it without reading my code. You should be getting a really good grasp of Parse.js at this point. 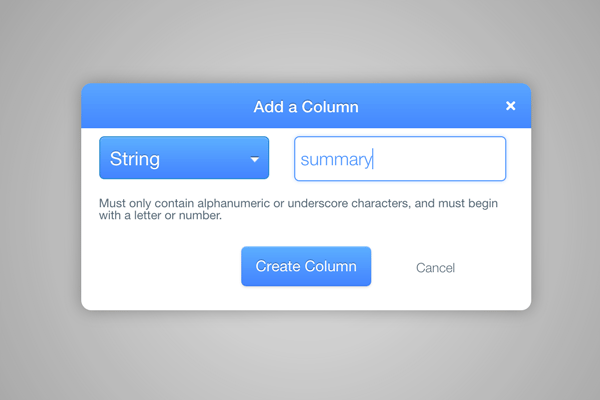 It’s an easy way to add callback functions in Parse.js, making your code cleaner and more readable. Go to Parse.com to see full documentation on promises. Let’s give it a test run, and double-check the database to see if it’s working. If you pay attention to the URL, you will see that after you click out of the alert box, the URL is still /del/ and the post you just deleted is still there. We want to send users back to the admin page after deletion, and the page should refresh and reflect the change they just made. Notice that because this time you call navigate from within the router, you can just store the router as self, and call self.navigate(). Finally, we need to make sure you are the only one who can delete your blog posts. Let’s check login for the function. This should be the same as the edit function. As you can see, styling is really not the focus of this tutorial. Feel free to fix the padding and style it however you’d like. Now let’s move on to make some new functionalities. 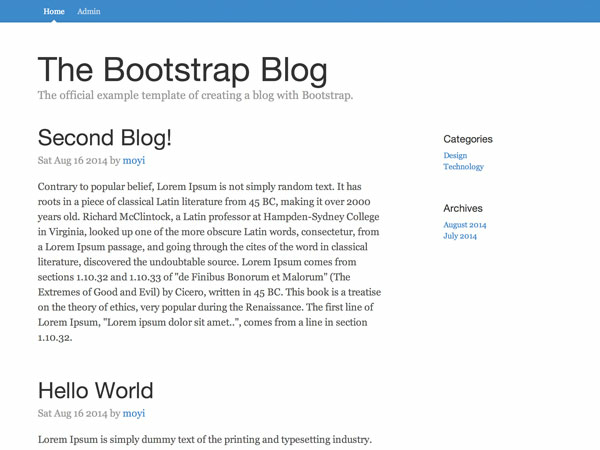 Up to this point, we are showing the whole blog article on the home page. While some people do prefer this style, most blogging systems support the idea of having a snippet summary upfront, and if the visitors click into the articles, they then can see the content on a separate page, with possibly some commenting area around it. I will walk you through creating this detailed single blog view in this session, and we will be focusing on building commenting in the next one. 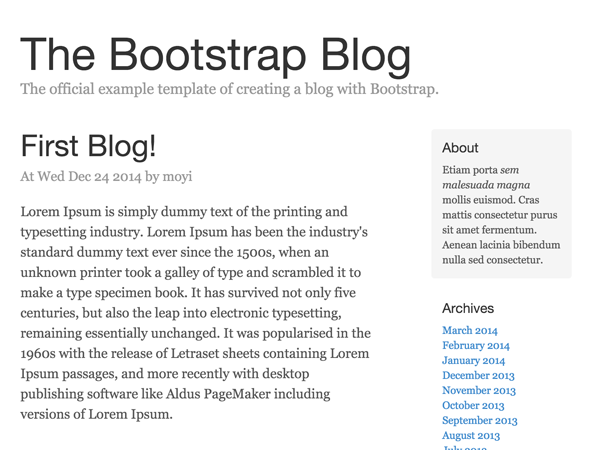 Now, let’s add it to the Blog.update() function. You can change the function to take a data object which contains the title, summary, and content, to avoid memorizing the order of the variables. Let’s give the content textarea a class and target only that with the wysihtml5 plugin. Take a minute and think about how would you add a /blog/:id page to show the content for each blog post, and try to do it yourself. You should be able to do it all by yourself now! Extra points if you did this by yourself. In this session, you built a lot: a delete function, a logout function, and another new page type. If you’ve been following this tutorial series until now, I think you have a solid understanding of how database, model, view, template, and router work together. I hope you’re also starting to enjoy building a Parse.js project at this point. Leave me your feedback and let me know if it’s helpful. 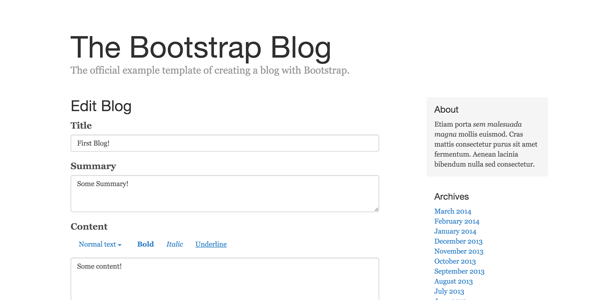 With this single blog post page we built this time, we are going to add a comment section next time. Should be a fun one. Stay tuned!